I am back, I took a break. I needed it. It was time to reflect on the past year, recover from so much running around and honestly, I must admit, read the words of others. Sometimes clarity comes from listening instead of speaking. 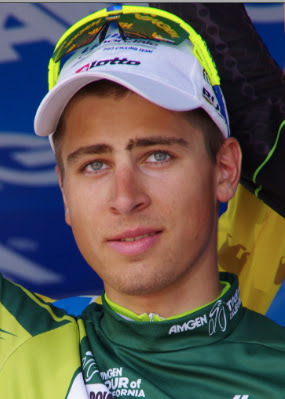 I have never presented myself to be anything other than that of a fan and rider who wanted to learn more about cycling. And this, I gotta admit, has been quite a time of learning. I sit here this evening as a tremendous thunder storm rolls over my home in Denver, Colorado. Similar to the storm that has rolled through this sport recently threatening to shake it to it's foundation. My brother said to me quite directly, that if I intended to write about this sport I needed to continue to learn about all of it's history, good or bad. Bad is hard to take, especially when I want to have some area of my life where good prevails. To believe. Belief is a close sister to hope; admiration a sister to respect; desire to dreams, and so on, all those values we hold dear, where we want to see hard work and honesty prevail. I was never ignorant to the truth of doping, but I was perhaps indifferent to the ugliness of greed (and this coming from a person who has lived in a 4th-world country). It is just the way things are may have been a poor excuse. In the end all of this matters because I believe fans want to see honor in sport as in life, to physically see it, so that the suspension of disbelief can be maintained. Good for the journalists who ask the tough questions, even though it comes at a great cost to them and even though the truth is hard to hear. I remain a loyal fan, and more importantly a huge fan of the bicycle and of travel. 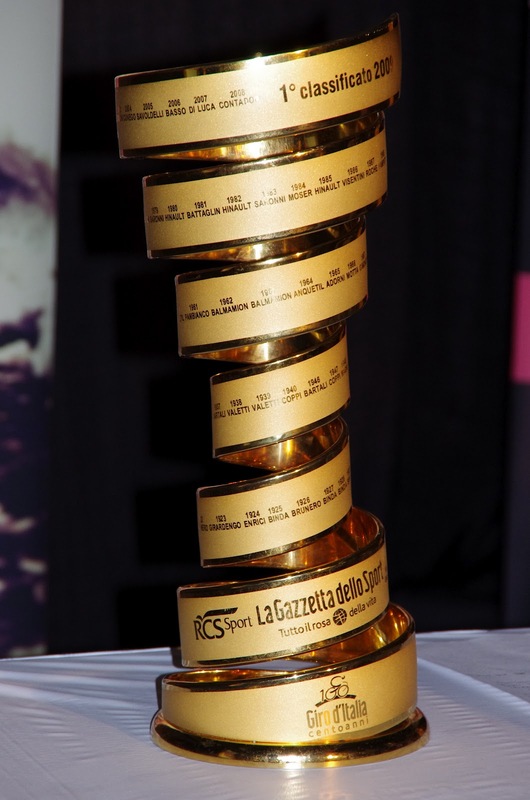 The route of the Giro d'Italia will be announced this Sunday. The Giro excites me. The World Championships were fantastic, they excite me and next year they will be held in Tuscany, and in 2014 the World Championships Road will come to the United States! Right here in our country we will have the opportunity to see the best racers in the world, and a team time trial. Can you imagine arriving for a team time trial one weekend, spending the weekdays being a tourist and riding your own bike across some fantastic roads, and then seeing the road race at the World Championships the following weekend? Awesome. This is what the World Championships now offer fans, and I see it as the next big opportunity for traveling cyclists. 2013 Tour de France returns to Mont Ventoux and Alpe d'Huez (possibly twice) (possible route) and to the Le Grand Bornand (one of my favorite areas of cycling in France). 2014 Tour de France start is rumored for Florence, Italy, although earlier rumors mentioned Barcelona and Qatar, and England is bidding for another grand depart as soon as possible. 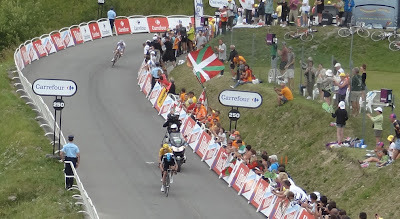 The 2012 Vuelta a España proved to be one of the most exciting races of the year, I can't wait for 2013. Although I know little of the route, next August my focus will be on the Vuelta. In 2012, I attended the Tour of Flanders, Paris-Roubaix, Amgen Tour of California, Tour de France, and the USA Pro Cycling Challenge. By far my favorite experiences as a fan came while in Belgium. 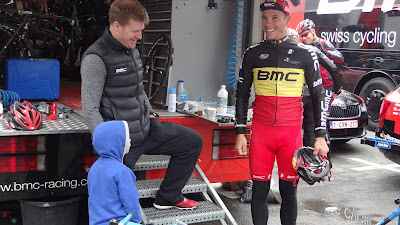 I just loved being at the Ronde van Vlaanderen and the Hell of the North as a fan, it was more than I had dreamed it would be, in fact it was so good, I hesitate to go back soon because the memories are so sweet. My heart will always be with the Amgen Tour of California, even though Bakersfield was brutal this year, I have attended since the beginning and always will. The Tour of California attracts good teams and great riders and is an important preparation for the summer World Tour race schedule. Someday I dream of going to the Giro d'Italia, I love the Giro (and traveling in Italy) and plan to follow the race daily online along with the Vuelta in 2013. I definitely plan to attend the World Championships Road within the next two years; again that combo of TTT + road race is so appealing. The USA Pro Challenge was a bit of a disappointment for me this year, lots of hard work, attendance was down, not as many teams, and a bit too much "home-town" theme after the incredible international epic grand-scale races I had attended this year. I admit I like the pageantry. If you can manage it - go see a bike race in Belgium. It will get you excited about the sport of cycling.